As a Certified Funeral Celebrant, I help people plan and prepare the service for their loved one. 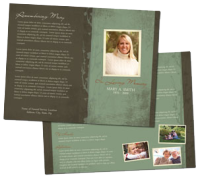 Celebrants create a personalized and individualized service to reflect and highlight the personality and life of the deceased. And to establish the significance of the deceased's life. To show how their life touched people. And the value they brought to this world. Often my services are used by people who have no church affiliation. Or folks that want to focus on the life that has passed, rather than the religious aspect. 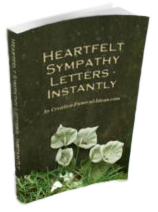 Why did I found Creative Funeral Ideas? This website is a result of my own frustration, over the years, in planning funeral, memorial services, and Celebrations of Life. Rather than having to spend hours searching for various ideas, poems, quotes, and music, you will find a volume of ideas in one place to help you in planning your service. And if it is important to you, you will also discover some ways to decrease your costs. 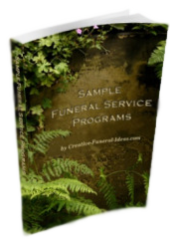 In my experience of working with funeral homes, most are very helpful professionals. However, if the funeral director you are working with makes you feel uncomfortable or pressured, you don't have to deal with them. They make their profits based on offering a service that you know very little about and are forced to make emotionally charged decisions. They don't expect people to shop around or find alternatives. Therefore, they can charge a significant mark-up on their costs of products and services. No other industry is able to get away with such huge mark-ups...simply because of our reluctance to deal with death. The bottom line is you need to deal with someone who will help you make decisions that are in your family's best interest. A good funeral director will guide you toward that options that begin the grief process in the best way possible for you and your family. Recently my eldest brother passed away after a battle with cancer. As 'the aunt', I became the overseer in all the funeral decisions and was able to save his family over $3000 in costs - just from using the information I share with you on this site. "We get no choice. If we love...we grieve." 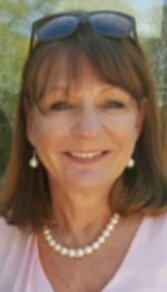 "Susan,I cannot thank you enough for all the useful information we have found on your website. It has saved us hours of stress at such a difficult time. thanks again. Regards Jayne "
There is no getting away from it. You are going to hurt when your loved one dies. The ritual of a funeral is important. It bring us together. I think today's modern society is starved for rituals. And it is a time for everyone to support each other in their loss. We want our loved one to live on in the lives of those who remember us. And to have a service that celebrates the life of your loved one. If you have a question I am happy to talk to you. Or if there is something you were looking for on our site and didn't find, then click on the link below and ask! Hopefully this site has been able to help you with your service. My deepest sympathies to you at this important time.